Election Day 2018 is less than two weeks away and candidates are making their final pushes on the campaign trail. For Democrat Jon Tester, his fight to hold onto his Montana Senate seat has proven more challenging than expected. Two weeks ago, the National Rifle Association downgraded Tester's pro-Second Amendment rating after he voted against Judge Brett Kavanaugh's nomination to the Supreme Court. "Contrary to what Jon Tester says in Montana, he has supported the gun control agenda of Nancy Pelosi and Chuck Schumer by voting in favor of gun control in Washington, DC,” Cox continued. The NRA also pointed out Tester's record of voting to confirm Justices Kagan and Sotomayor, with opposition for Justices Neil Gorsuch and Kavanaugh. Meanwhile, Donald Trump Jr. has been in the state for months campaigning aganist Tester and last night, President Donald Trump flew in for a visit. Jon Tester says one thing to voters and does the EXACT OPPOSITE in Washington. Tester takes his orders form Pelosi & Schumer. 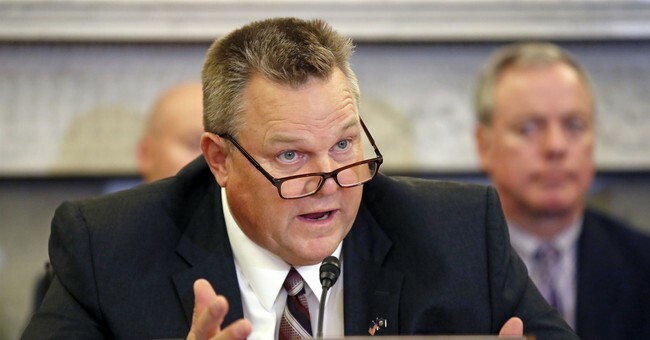 Tester wants to raise your taxes, take away your 2A, open your borders, and deliver MOB RULE. Retire Tester & Elect America-First Patriot Matt Rosendale!